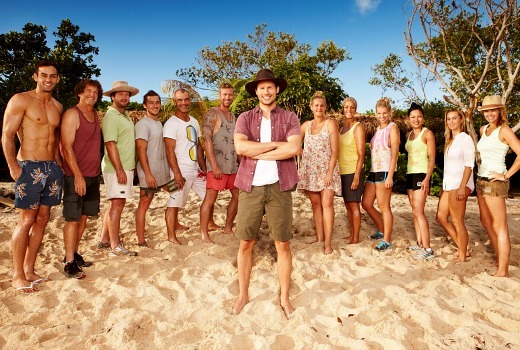 TV Tonight readers have voted The Big Adventure as the Worst Aussie Show of 2014. The ambitious Reality show, which tanked in the ratings, had the ignominy of giving away a million dollars with just 658,000 viewers. The show also polled highly for Biggest Blunder of the Year but that prize went to The Bachelor‘s proposal by Blake Garvey. However there was better news for Seven with How to Get Away with Murder voted the International Show We Need to See on Aussie TV. It will debut next month. When it comes to the Worst Male and Female performers there were several names who yesterday appeared on the Favourite Male / Female lists yesterday -this reminds us some stars can be polarising to audiences. Some may have also been voted due to the actual show they are associated with…. Most Overexposed performer this year includes, for the first time, Asher Keddie. The Favourite Female has made the list due to 2 dramas: Offspring and Party Tricks, with readers reminding producers to vary their casting lists or risk a backlash. 65% of readers visit TV Tonight once a day or more with 85% voting the site Very Good or Excellent. Just 1% voted the site as Disappointing. Thanks to all who participated. Until next year! Thank you for posting the results of TV Tonight Awards 2014 – excellent work. I watched both Party Tricks and Offspring and did not think Asher Keddie was overexposed. I also saw Asher Keddie in Paper Giants – The Birth of Cleo. In my opinion, its wonderful when someone can be so versatile as to be able to take on different roles. Rebecca Gibney also does different roles well and John Wood has also had several different roles. While I did not vote for all the “winners” here I do agree and see why they were voted for this way. Muchotv…….. How was TBA like Amazing Race? There was no travelling, no 2 person teams, no “last person to arrive elimination”. It is so far from Amazing Race it’s like saying MKR is like the race. I don’t understand how people can argue with subjective votes. Saying things like no, that wasn’t the worst show is just your opinion, clearly others thought otherwise. I adore Josh Thomas but I accept others don’t which is why he is usually on both the best & worst lists. I thought Asher would be in the overexposed category – she is a brilliant actress but being in 2 consecutive shows on 10 wasn’t the best idea. I felt we needed a break between her Nina role before Party Tricks commenced, I didn’t watch the latter even though I love her & Rodger Corser as I wasn’t ready to let go of Nina. It’s sometimes a curse for actors to be so strongly use identified with a character!